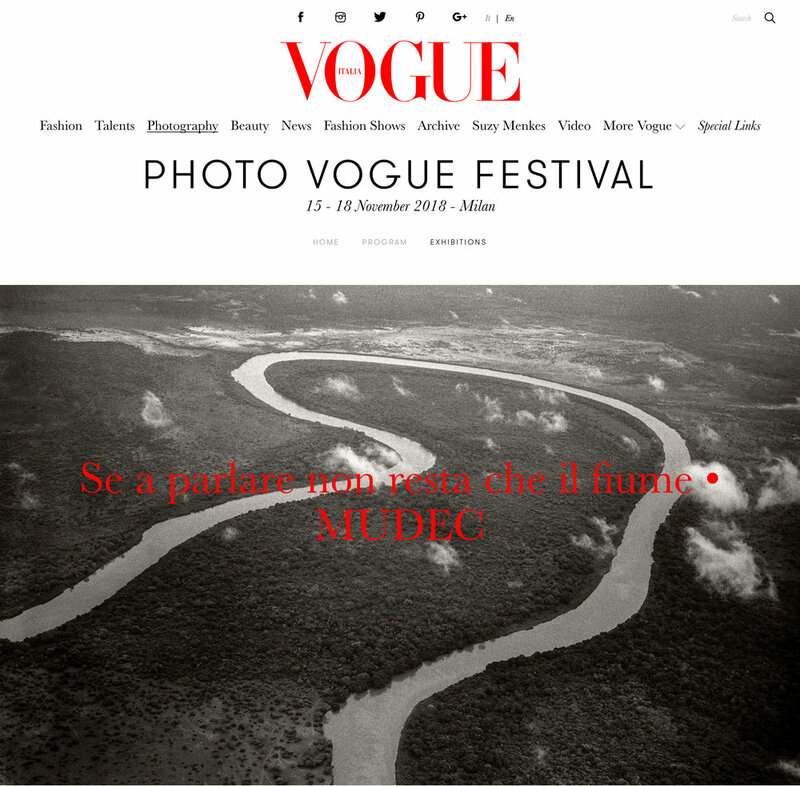 “Se a parlare non resta che il fiume” is a multisensory installation that combines the artwork of American photographer and educator Jane Baldwin with the creativity of the renowned Milanese art research group Studio Azzurro, founded in Milan in 1982. The installation is dedicated to the tribes of the Omo Valley, whose ecosystem and the people who depend on it have been threatened by a huge hydroelectric project made in Italy, and by the land grabbing that followed by agro-industrial farmers who want to grow cotton and sugarcane crops for export, and it is built as an interactive poetic journey along the Omo River where visitors engage with the women, who are the main characters of the project and the depositaries of oral traditions through tales, myth and song. Immersed in the sounds of a flowing river, a metaphorical sculpture of red clay symbolizes the Omo River’s meandering course. The red, desiccated surface of the river indicates the crumbling and dried up riverbed, deprived of its annual flood by a controversial development project. The visitor transforms a clay fragment into an amulet that is dropped into a receptacle, tranforming the river into a storyteller, the voice of the river becomes the voices of the women. The multisensory installation at MUDEC – Museo delle Culture, within the “Geografie del Futuro” program, will last until January 6, 2019. We interviewed Jane Baldwin, American artist and educator who uses photography and audio recordings as a practice of documentation, research and storytelling. When did you start to work systematically on the Omo River Valley area? What brought you there? I first learned of Ethiopia’s Omo River Valley from a friend and colleague who had just returned from her travels in Africa in 2004. My first visit to the region was in 2005. Initially, I traveled as a photographer. I returned annually to the region between 2005-2014 to document women’s stories in their own voices. 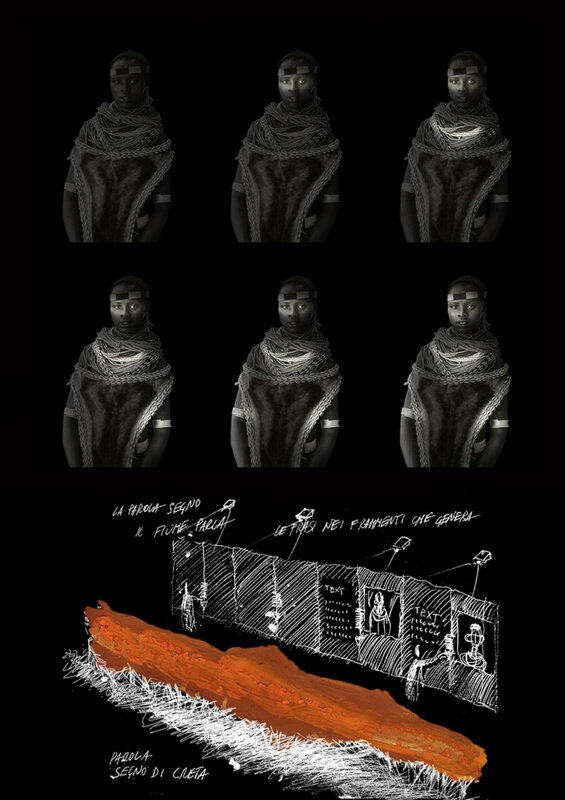 The project slowly evolved into a multi-sensory, immersive body of work about women, culture, human rights and the environmental issues that threaten the communities of Ethiopia’s Omo River Valley and Kenya’s Lake Turkana watershed. My advocacy for the human rights and environmental concerns of Ethiopia’s Omo River Valley and Kenya’s Lake Turkana developed later. Why is your work focused in particular on women? My relationships with the women of the region developed slowly over time. Their societies are patriarchal and gender roles are strictly defined, thus making women’s condition not always easy. Women are the nurturers and sustainers of their communities and families. They are valued for the number of children they bear and for their hard work, but they are seldom engaged for their thoughts and ideas. As a woman, I wanted to give them a voice. They were eager to sit and talk with me about their lives. About what made them happy and their concerns for the future of their communities. For reasons I can’t explain, when I arrived in the Omo River Valley the land and people felt familiar. I intuitively understood that I had to leave my western sensibilities at home, my ideas of right or wrong or judgment—to learn, I had to listen, free from any stereotype. My camp was located on Kara ancestral land. 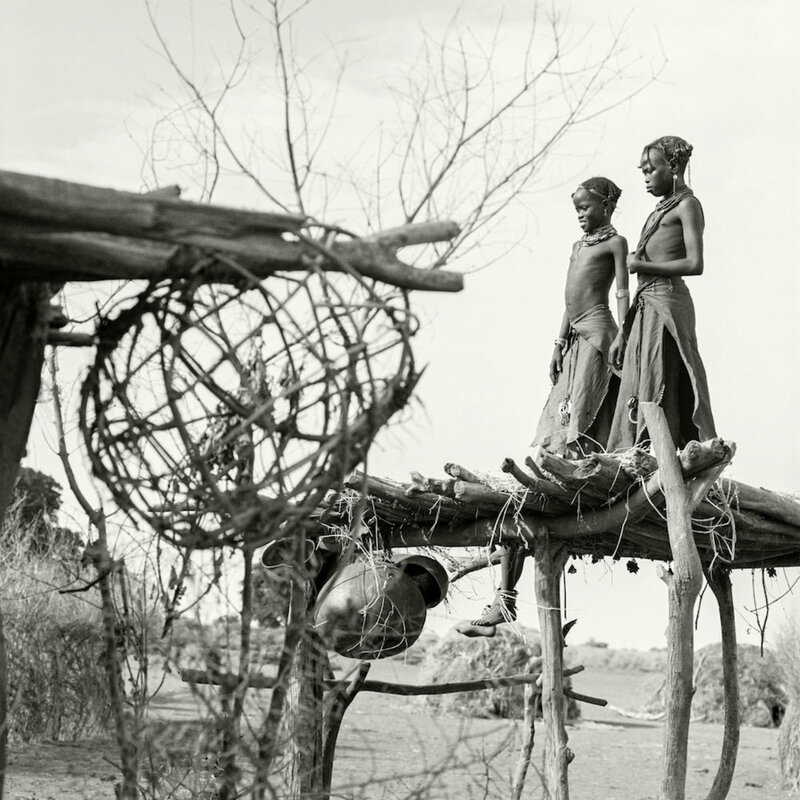 Kara women were often in camp walking back and forth between their village and the Omo River to collect water. I noticed that when the women came into camp they’d linger in the background. One day I approached them and we began to sit together, finding ways other than a common language to communicate. 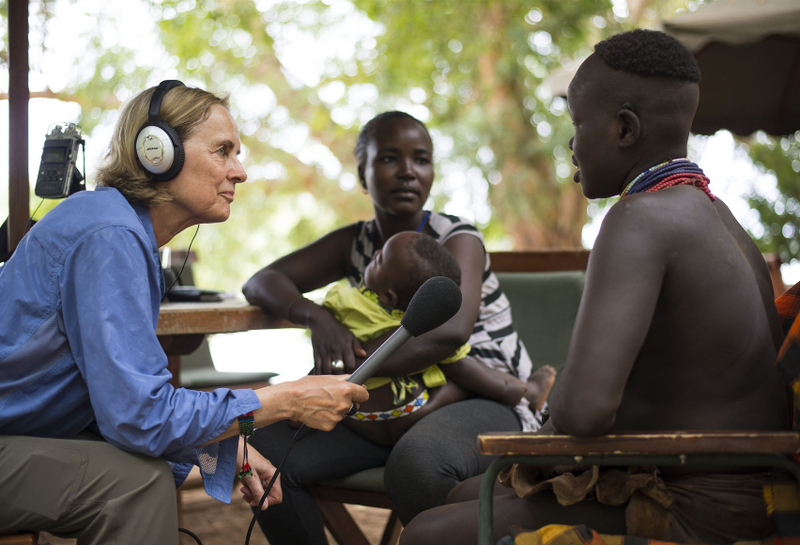 With the help of my guide and a young Hamar woman to translate for me, in 2009, I began to interview the women of the Kara, Hamar, Kwegu, Nyangatom, Dassanech and Turkana communities and record their cultural stories and their role within it. Women are the heartbeat of all Omo cultures. They are keepers of their oral traditions that pass down the narratives of their ancestry and families. This project then evolved into giving ‘voice to the voiceless’— going beyond their portraits. Their stories become a mirror to examine our own ways of looking and ways of seeing, to question our own perceptions and life experiences. In this project the sound has a fundamental role. How did you realized that this was so important and how did it develop in your project? I have long been sensitive to the ways that photographers often put their lens on foreign cultures and the “colonial gaze” of western or Eurocentric perceptions that romanticize or judge tribal culture without engaging directly with the people. I’ve written letters to the editor when a foreign photographer or journalist drops into the Omo River cultures for a quick glimpse of the people and then projecting their biases reinforcing stereotypes that are most often misleading or even dangerous. They focus on shock value rather than a fair and respectful eye on their culture. I knew I wanted to do things differently. I first used a recorded audio of a woman’s story in a short film entitled “Kara Women Speak” in 2012, but it was only with the collaboration of Studio Azzurro that all the multimedia elements of my work were brought together and combined into a multi senses and immersive project of great impact as “If only the River remains to speak”. Environmental sounds are an important element for setting the ambience of a space, and the sound of the women’s voices help to communicate the emotion, disposition and intention of the subject. Tell us something about the collaboration with Studio Azzurro. How did it start? My colleague encountered Studio Azzurro’s work at the Venice Biennale and she was impressed by their ability to combine technology, design and creativity to create emotionally relevant installations and sensitive environments that react to external incentives. Where storytelling originates by the visitors own gestures. I believe art can inform and focus our attention in powerful and insightful ways. Through engagement and conversation, art can inspire empathy and evoke our humanity by raising awareness of political issues, and be a catalyst for change. Studio Azzurro was definitely the partner I was looking for! After a call and with the help of Survival International – the global movement for tribal peoples – I flew to Milan for a planning meeting in March 2016. Studio Azzurro led the installation design and managed the construction and technology. 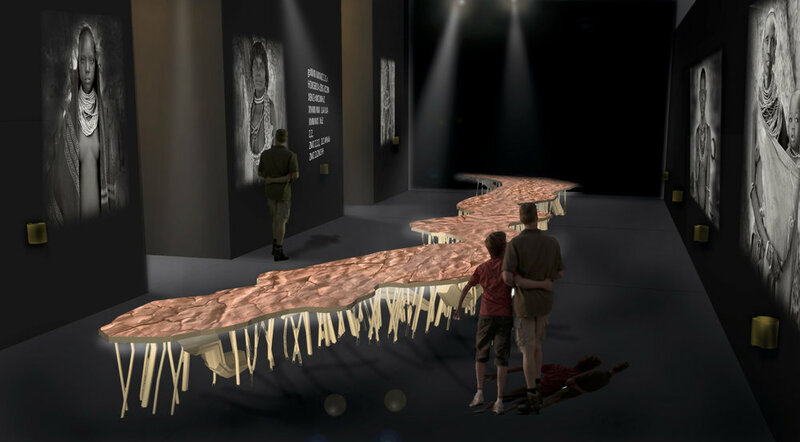 Leonardo Sangiorgi envisioned the installation space immediately, which included a 40 foot long riverbed of dry red clay as a metaphor for the dying of the Omo River. Back in California, I finalized the image selection and worked editing the ambient sounds. A thrilling collaboration. Do we need to use other languages besides the image to speak to people and get closer to them? Is there a kind of limit in photography? I don’t believe there is a limit to photography—it’s always in transition. However, I believe photographic exhibitions can often be one dimensional. I felt that in order to tap into the consciousness of the viewer it needed to be multisensory and immersive. For this reason, we chose to collaborate with Studio Azzurro whose work creates deep emotional engagement. Visitors often come to the conclusion that the women – as any other tribal people in the world – are just like us, in more ways than they may have originally thought. The added stories have helped increase a sense of shared humanity. “Se a parlare non resta che il fiume” is a multisensory installation where the viewer is actively engaged in it. How important is it today, in your opinion, the experience in the process of involving people and receiving a message? The multi-sensory experience is an essential and important part of this project. By using technology and appealing to multiple senses – including tactile activities – our goal is to simulate encounters, bring the stories of the women of the Omo River Valley to life and make visitors have a more profound experience and engage and connect on a deeper level. The entire experience provides a 45-60 minute virtual “visit” able to build a bond with the women of the region and able to help the viewers to break through the emotional exhaustion often experienced when faced with difficult situations, such as environmental or human rights’ violations. My hope is that this exhibition helps us pause to consider the consequences of our irresponsible use of natural resources around the globe. “Progress can kill” quotes a campaign by Survival International, whose important work I hope will be underlined by the installation, giving it the support it deserves. The combined effect of land grabbing and a huge dam made in Italy is compromising the environmental balance of the Omo basin and undermining the food security of at least 100,000 indigenous people in Ethiopia and 300,000 in Kenya largely self-sufficient. The granaries and the precious pastures of many Kara, Mursi and Hamar villages have been destroyed. 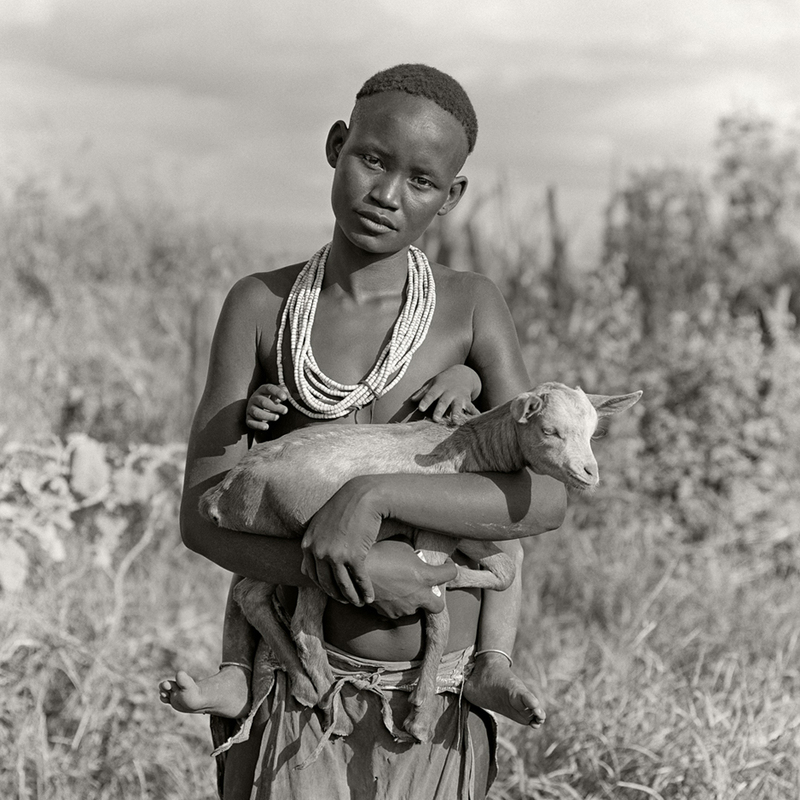 The Kwegu, who depend almost exclusively on hunting and fishing, are starving. Many of the communities I have visited have already lost or are losing access to their lands and to the banks of the river. And every opposition is silenced by the Ethiopian government with force and violence. The Ethiopian authorities say they want to “commit to preserving the cultural heritage of these groups (threatened with extinction) through the creation of a museum of the Omo cultures and through ‘cultural villages’ “oriented to tourism”. But “depletion, death and human zoo are too high a price to pay to this alleged ‘progress’ and they are unacceptable”, Francesca Casella, director of the Italian headquarters of Survival (www.survival.it), denounced. “New models of ‘development’ are needed, that do not trample on human rights. Not just for the indigenous peoples, but for all of humanity”. The indigenous peoples of the Omo valley are not primitive and underdeveloped as many want us to believe, they are just different and represent an essential part of the human diversity on which the survival of all of us depends. Both Studio Azzurro and I hope that the installation will instill this awareness in all visitors inspiring them to take part in the change.